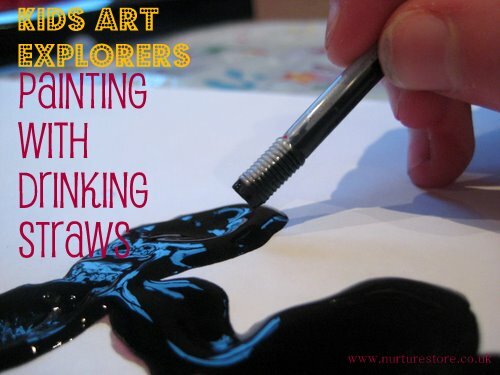 The Kids Art Explorers project this month is enjoying a No Paint Brushes Allowed challenge. We’re trying out lots of different ways to use paint and inviting you to join in. The NurtureStore children have been hunting through our art and craft cupboard to find different materials they think will be great to paint with. We also have lots of other blogs joining in the project and you can see some of the amazing art they’ve been creating below. 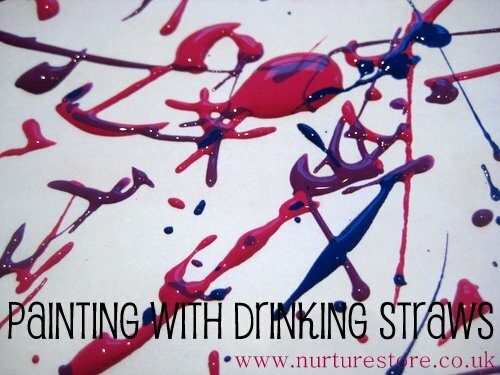 But first, here’s what we created when we tried painting with drinking straws. 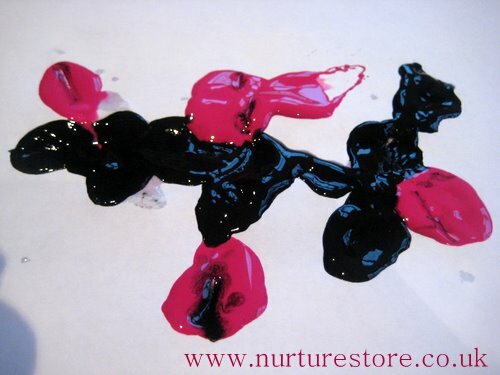 We used ready mixed water-based poster paint for this experiment, which has a fairly runny consistency. The children discovered this meant they could make a puddle of paint on their paper and use their drinking straws to blow and change the shape. A blow blow created sprays of paint across the page. 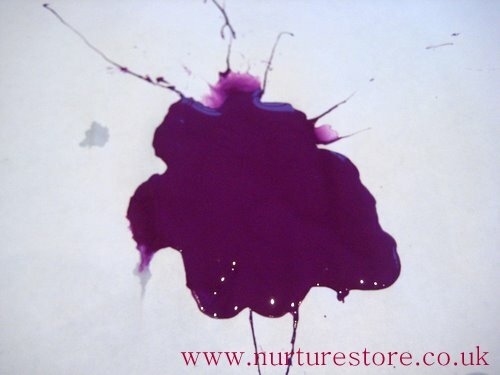 They also tried making several blobs of paint on the paper and then putting their straw in the centre of each blob, to blow out each little puddle and join them together. This took a lot of puff! As well as trying out different items to paint with, it’s good to see how many ways you can come up with to paint with each individual thing. 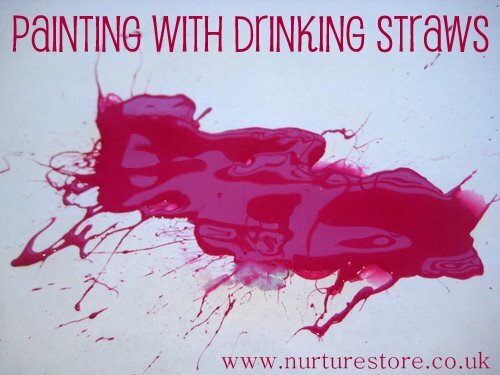 The children found the drinking straws were also great for flicking the paint across their paper. It’s best not to try this near a wall, as enthusiastic artists can make the paint flick in all directions. It’s a great technique to try outside though, with a very big piece of paper, as you can really go for it and create a huge, vibrant painting.